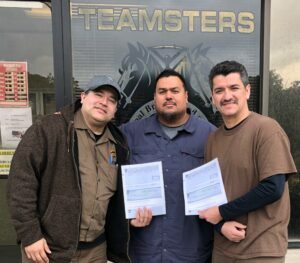 The clerical unit at Garden City and Milpitas Sanitation unanimously ratified their new 5-year contract. As the heart of Garden City and Milpitas Sanitation, the clerical unit is responsible for the accounts and is at the forefront of customer service as they answer customer questions and concerns. 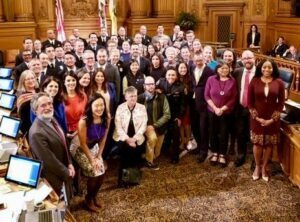 After months of negotiations, the nine members in this hard-working clerical unit voted unanimously to ratify a new 5-year contract that will raise wages, protect the employees, and reward them for the hard work they do every day. 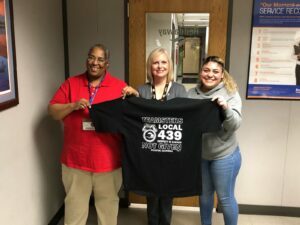 Larry Daugherty, Teamsters Local 350 President and Field Representative for the Solid Waste Division, was at the helm of the negotiating process. The unit’s top priorities were wage and pension increases and, most importantly, protection from the company. 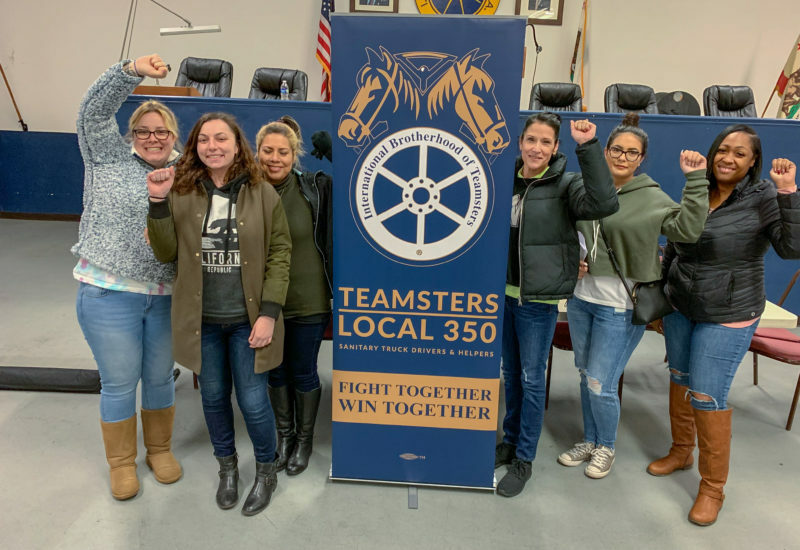 “We were able to get over $7 in wage increases, $2.70 in pension increases, Maintenance of Benefits for their Teamster insurance and we included strong contract language that protects our members’ rights over the 5-year contract,” Daugherty says. “This was a strong victory for the members. 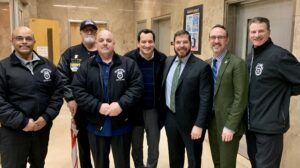 We plan to take these improvements to other employers as those contracts come up for negotiations,” Daugherty added as he thanked the negotiating committee for calling the employer out on their attempts to downplay issues in the workplace and for keeping them honest.